Language: Use the " Enter " key to choose the language you prefer. Device S/N: The device serial number is for you to update the device's firmware via CD or internet. Note: All the update firmware is synchronous to the device’s serial number. Temperature: Use the " Enter " key to choose between Fahrenheit and Celsius. Use the " Enter " key to choose between PSI and kPa. ID Format: Change the ID format between decimal and hexadecimal with the " Enter " key Note: The preset setting is AUTO that automatically change format based on input. Auto off: User can adjust how quickly the tool will turn off after a period of non-use. This feature can also be disabled. Press the "Enter" key to select desired auto off time. 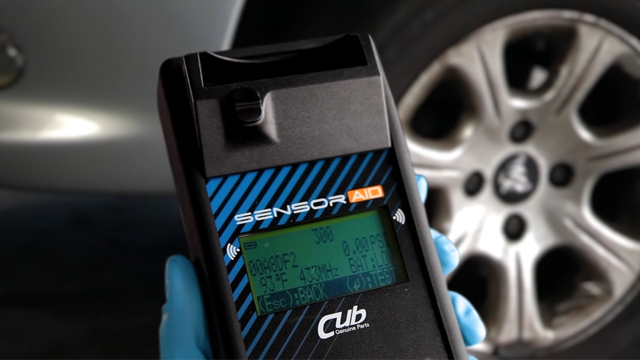 Buzzer: User can adjust the device to beep after receiving tire sensor information. Press the " Enter " key to buzzer and use the arrows to adjust between on and off.